Do You Want To Join The PS4 TAY Community? Hey Everybody!.... If I don’t get a single Simpsons reference in the comments I’m disappointed in you all! With the last PS4 system update Sony went ahead and released the ability for us to create and join communities, and JollyDoomBoots went ahead and created one for us (all praise the doom boots!). Unfortunately they gave us no real good way to actually search through and find the ones you are looking for. 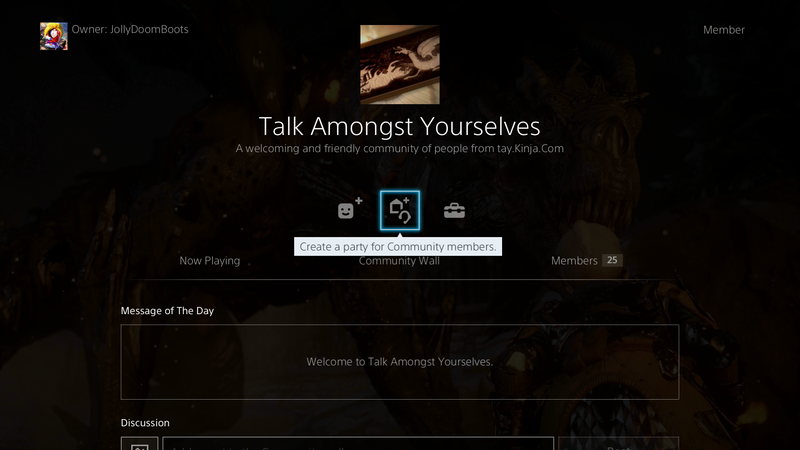 So here’s how you can find/join the TAY PS4 community without having to ask for someone on here to invite you. Holy crap there we are! Select Talk Amongst Yourselves and your there! Join up, introduce yourselves, and let’s see if we can get some groups going!